At Christmas we only give one present to one other family member. I drew my BIL’s name from the hat. 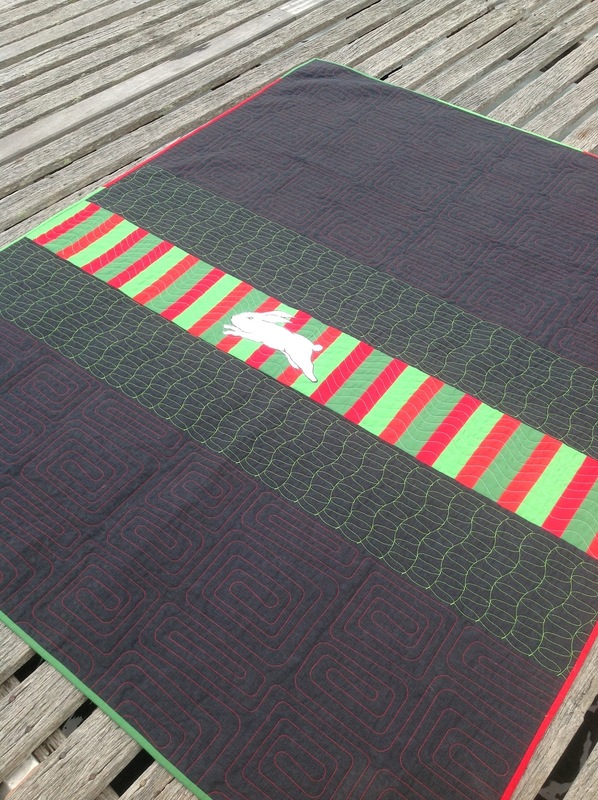 He happens to be a fan of the Rabbitohs football team (south Sydney) so I thought a quilt would make the perfect present for the cold football season. 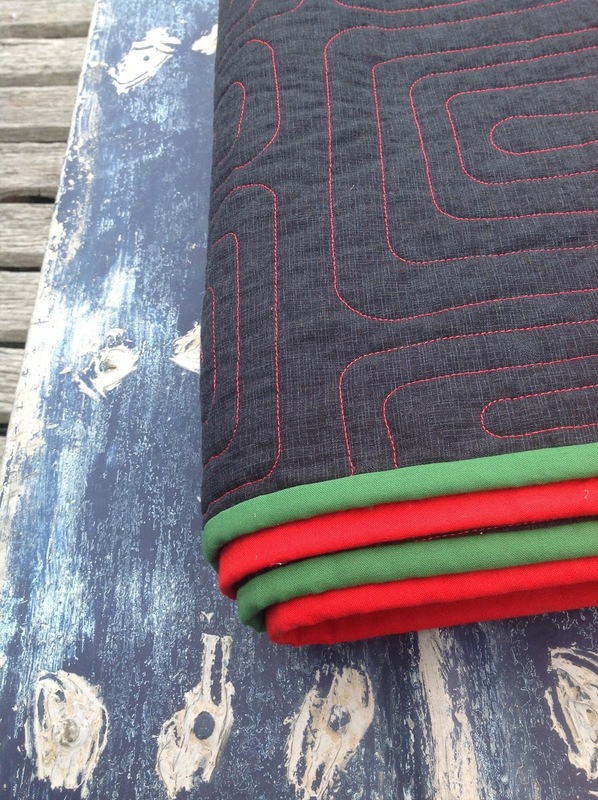 The quilt is very minimalist in style using a Kaufman quilters linen in charcoal to balance the contrasting team colours of red and green. (It could also double as a festive quilt or matching quilt for Freddy Kreuger’s jersey). The little, white rabbit adorns the centre. To liven up the solid background, I used red, white and green threads with simple geometric patterns. To finish it off, I used a scrappy red and green binding,and a label in the shape of a football. Very festive. I am sure it will help him keep warm at games. Hey, this is fantastic! I really love that effect of the green and then the red threads on the charcoal. Very nice. He is sure to love this. Ohh what a great quilt. The rabbitohs are my team too. How perfect! I hope he's not a follower to see the surprise! 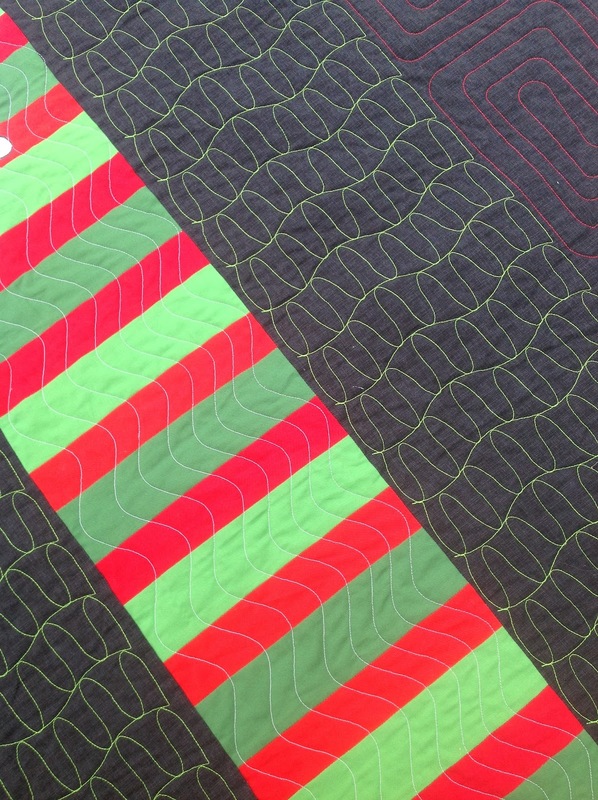 Stunning quilting… as always! Simple but effective! I think it is terrific. Great gift! I really like the quilting. I love this and I think the quilting just makes it. So many times sports themed quilts look tacky but this is just gorgeous.